In my previous post I already wrote about using less plastic cups by taking your own mug into the office if you’re (like me) a tea or coffee lover. But how do you do that when you regularly get your cup of joe or hot tea at a coffee bar? Usually you get a disposable cup when you get a take-away drink, very often with a plastic lid, so you can get on your way with a good cup of coffee in your hands. Delicious, but not very environmentally friendly of course. Luckily there is a solution for that these days. Well probably more than one but I really want to share my experiences with this cup with all of you; KeepCup. When you go on a nice holiday to a beautiful resort or a luxurious hotel you usually take other things with you than when you go backpaking. Ofcourse there are things you drag with you everywhere you go (like your phone, or a tablet or a camera). Yet during my travels through Europe I realised there are things I can’t go without when I go backpacking. Last week I wrote about how I found out I became a victim of credit card fraud. At that time I lost a big amount of money, $1,500 USD, to be exact. It wasn’t until the company charged me like they always do, I discovered some of the transactions on my card were fraudulent. A week later and for me, everything is solved. My credit card company has reimbursed my money already and the form to make the transactions marked as fraudulent has been signed and sent. Until then it wasn’t 100% clear to me how it exactly happened. I’m always very careful to use my card because I don’t want to become a victim of credit card fraud. Surely that didn’t work out too well. I had my suspicions and to me it all leaded towards RFID readers that read my info from as far as 10 feet (4 meters) away! My credit card company gets two thumbs of from me for responding the way they did when I phoned in and for reimbursing me so quickly. Earlier this week I was talking to a colleague about all this and she told me she had received a letter from her credit card company too stating her card was blocked on suspicion of being a victim of credit card fraud! Now this came as a shocker to both of us. The transactions were all around the same time and we take our breaks together sometimes popping across the street to get something to eat. It’s a very busy public area with lots of people passing through every day. Now since we both still have our (now blocked) cards, I’m sure it happened with RFID reader! Now that everything is arranged with my credit card company and I have been reimbursed, I didn’t want someone reading my RFID chips again. RFID chips aren’t only in your credit cards, most bank cards, ID cards and passports have the same type of chip. All of which can be read by someone. To hopefully prevent this from happening again, I invested in an RFID blocking wallet. 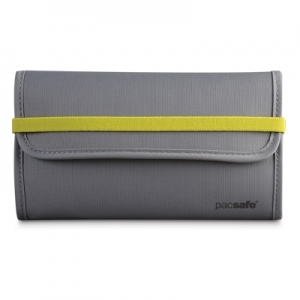 There are many RFID wallets around, but I’m a PacSafe girl, a real fan, so when I saw their RFID blocking wallets that will also hold my passport I was sold on it. It’s an RFID-tec 250 women’s wallet. 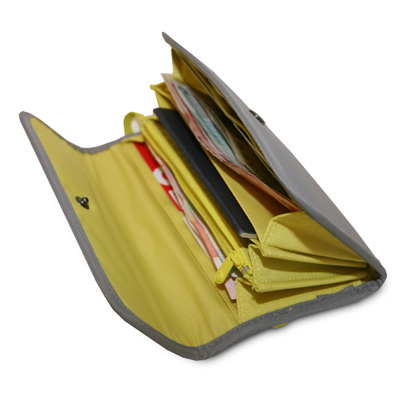 I was also recommended the Secrid wallet by someone and I really appreciate it. For me it’s just not what I was looking for as it holds mostly cards and I wanted something that could hold my passport too if I needed it to. 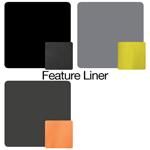 But if that’s what you’re looking for, this might be something for you. 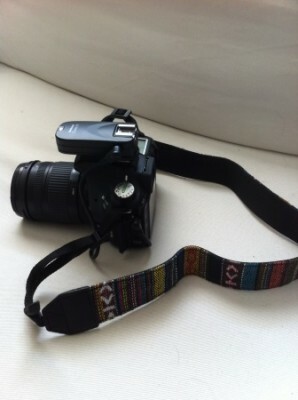 Surfing some photography sites online I came across some really cute vintage camera straps that I would love to get. Unfortunately my budget wasn’t too pleased when I noticed the price of some of them! I’m all for spending money on good gear, especially when you use it a lot, but since this was just something to prettify my camera and it was just a little extra I didn’t want to spend that much. It also ticks all the boxes on my “question list” to not buy it; Is it nice? – Yes Is it useful? – Yes, somewhat Do I need it? – No Especially that last one is an indication I really don’t need to spend money on it, But I obviously still “wanted” one so I decided to search online. There was one thing I looked for when searching; quality. I might not want to spend too much but I still wanted some reasonable quality for the money. 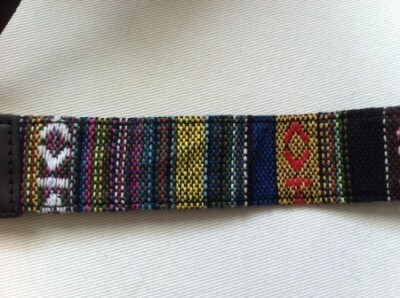 And what do you know, I found a pretty strap which is nearly identical to one I really liked, only for the fraction of the price! Even the quality seemed good. eBay is your friend on hunts like this, there is so much to find there. I paid $2,50 USD for this one and it even included free shipping! Since it included free shipping I assumed it would take a little while for me to receive it. To my surprise I already found it in my mailbox this morning, and I only ordered it late last week. Now that’s awesome! The quality seems good so far. It feels solid and it doesn’t feel like it’s about to break or anything. I still recommend holding your camera though, and to not only use a strap to wrap it around your neck. Every strap could break at some point. So always be careful! If you’re looking to buy one like this, I can really recommend this seller. It was shipped the same day I purchased it and – as I said – arrived within a week. He also has a high percentage in positive feedback. So if you’re looking for something that’s not a necessity I’d say check out eBay! Happy hunting!